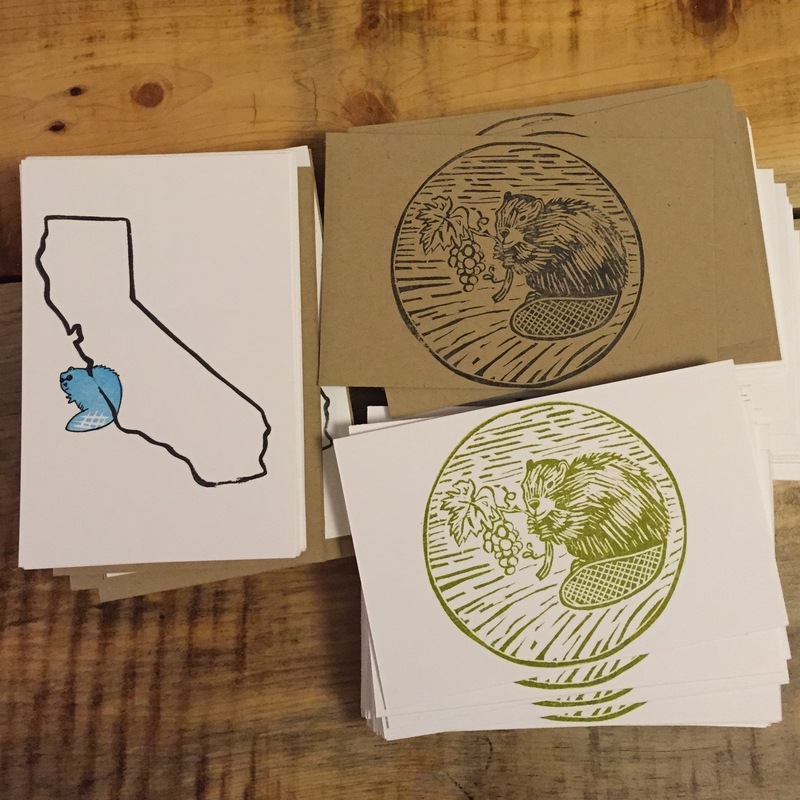 My block-printed postcards have a new retail location: Alpenglow Sports in Tahoe City. For now I’m just selling my new Freel Peak design. 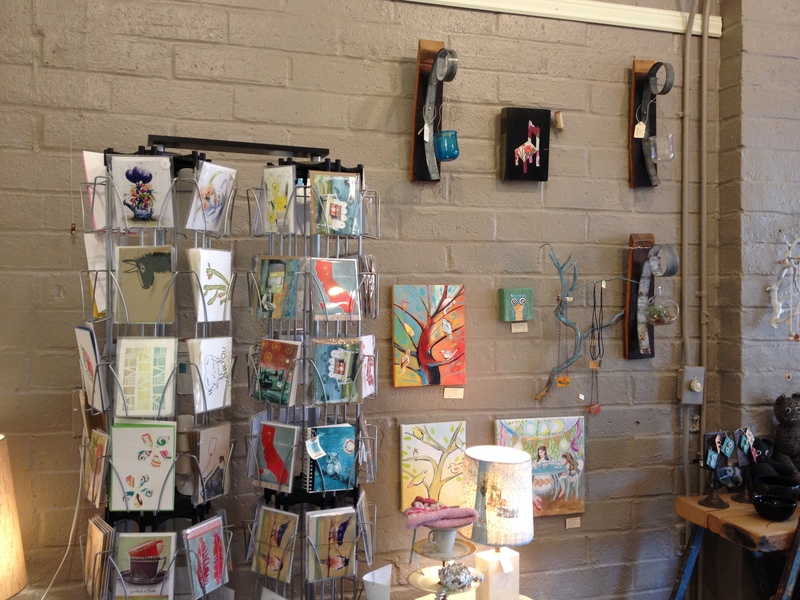 Look for them currently in the storefront display, next to the Raindrops on Roses cards! 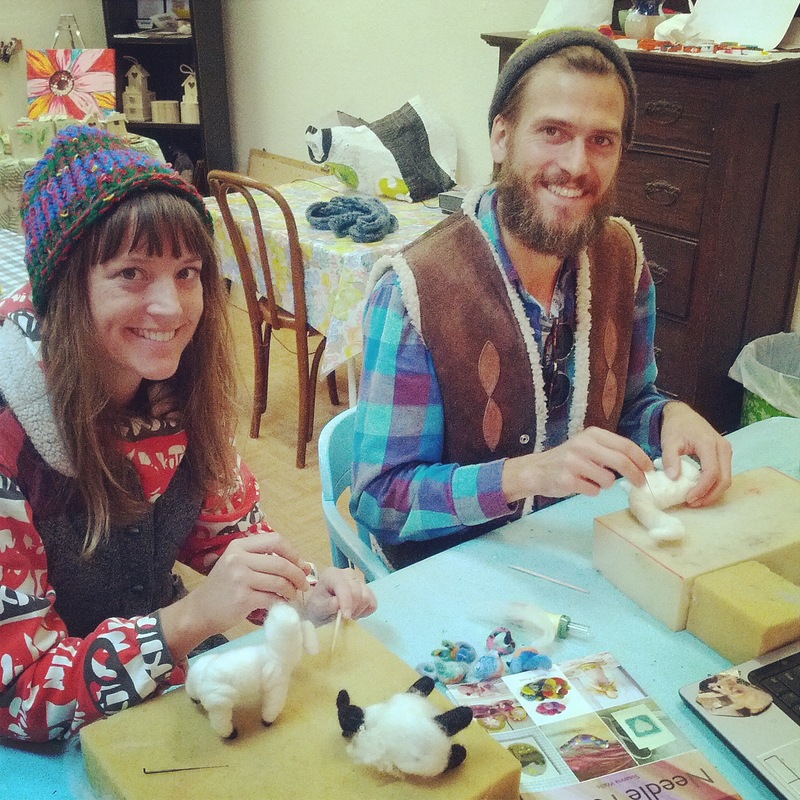 beaverstock 2015 – more postcards! 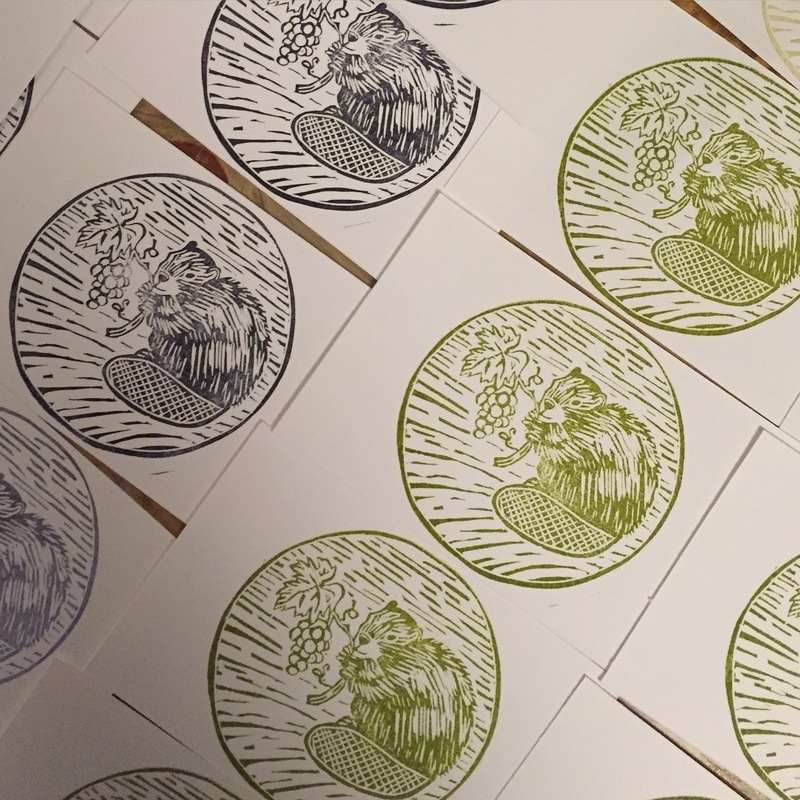 I handmade block-printed postcards for Beaverstock again this year, and Castoro Cellars supplemented them with some printed photo ones. 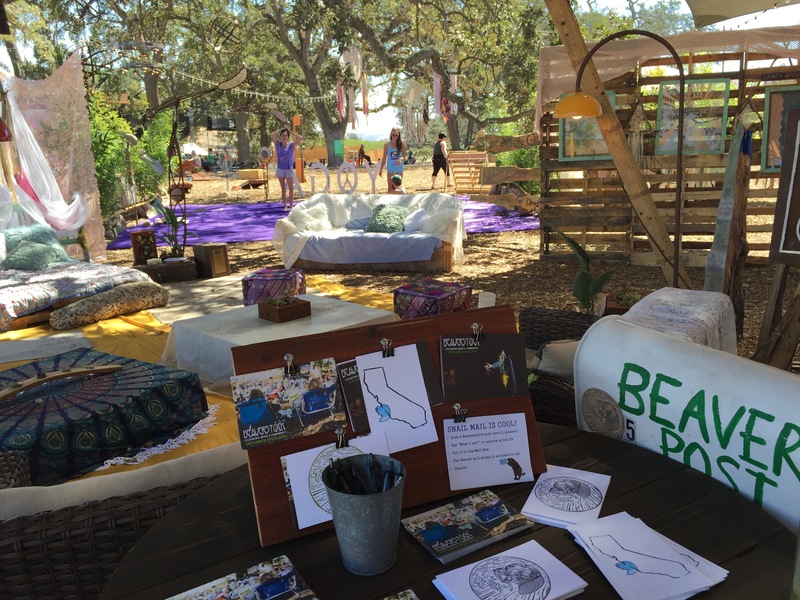 In all, festival-goers sent out 224 postcards! 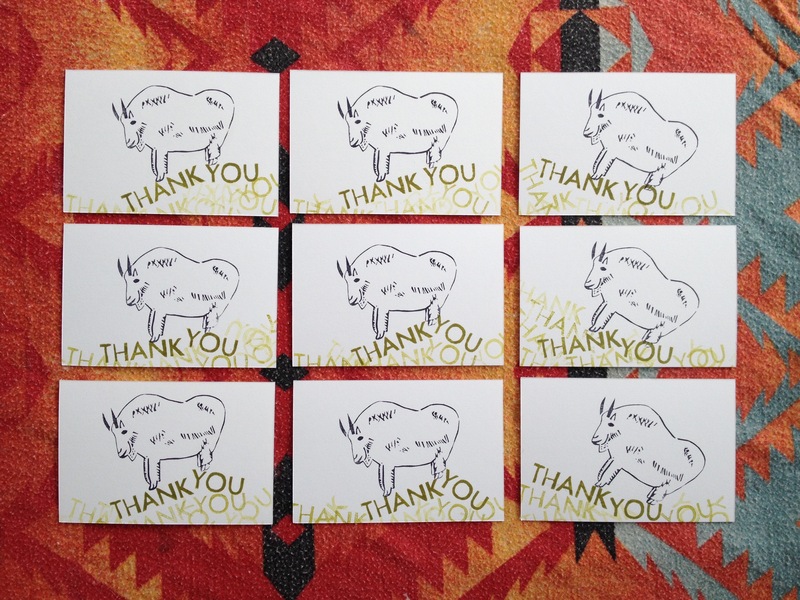 Viva snail mail! 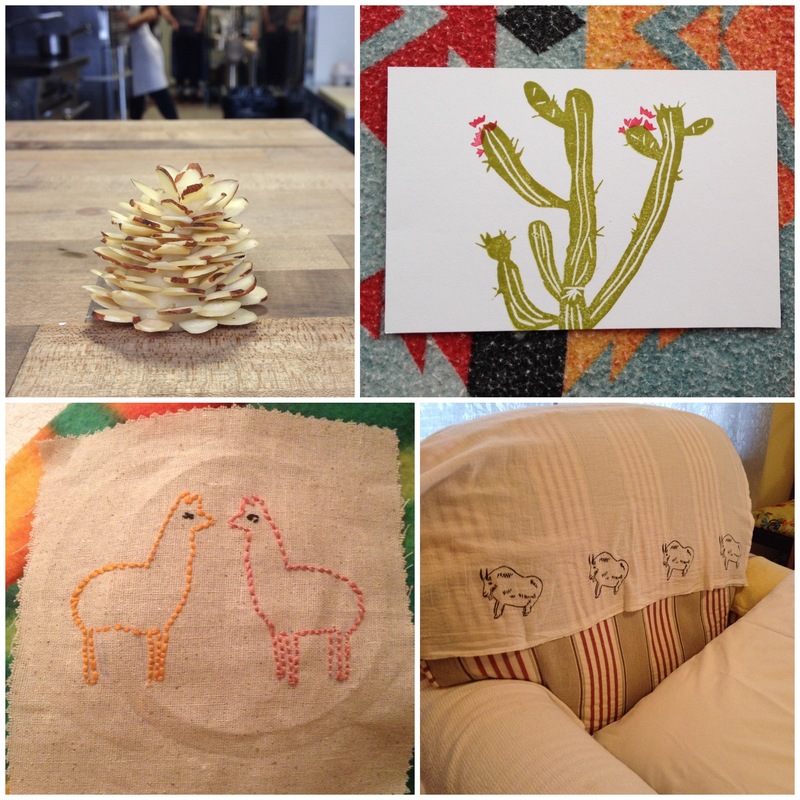 A sampling of some of my crafted gifts this Christmas: (above) pine cone made out of shaved almonds and marzipan for Grandma Daisy; blooming cactus stationery for my mom; embroidered llamas as a gift to myself (he he); and block printed mountain goat towel for Grandma Daisy. 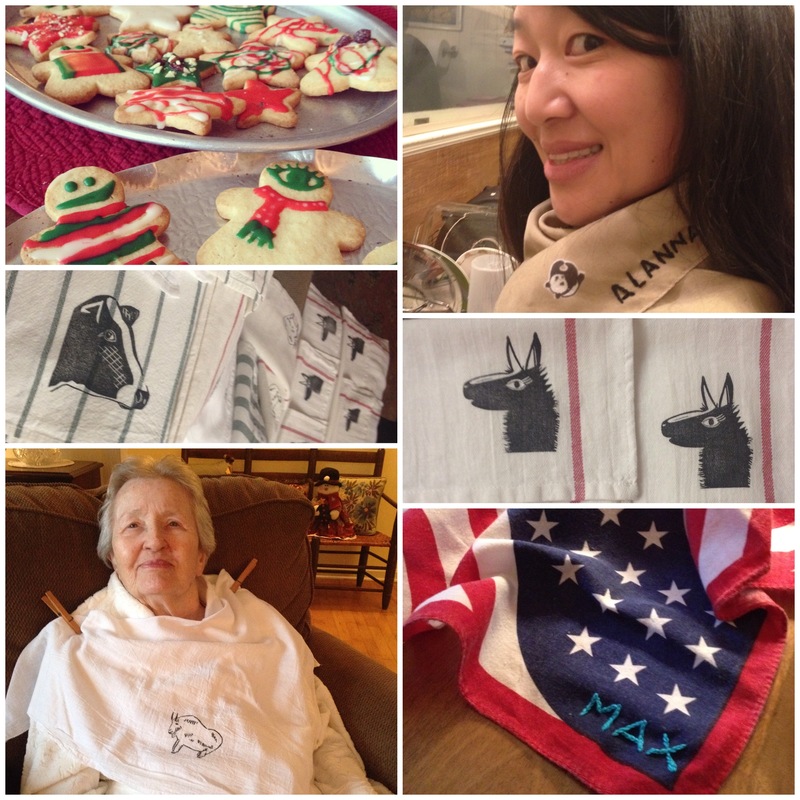 (below) Christmas sugar cookies for everyone; embroidered panda bandanna for Alanna; block printed cow, mountain goat, and llama kitchen towels for friends; mountain goat bib for Grandma Daisy; and embroidered bandanna for Max. I also made some little herb packs from sage, rosemary, thyme, and oregano that I picked from the Udsen garden and neighborhood streets in Templeton and then dried—forgot to take a picture though! 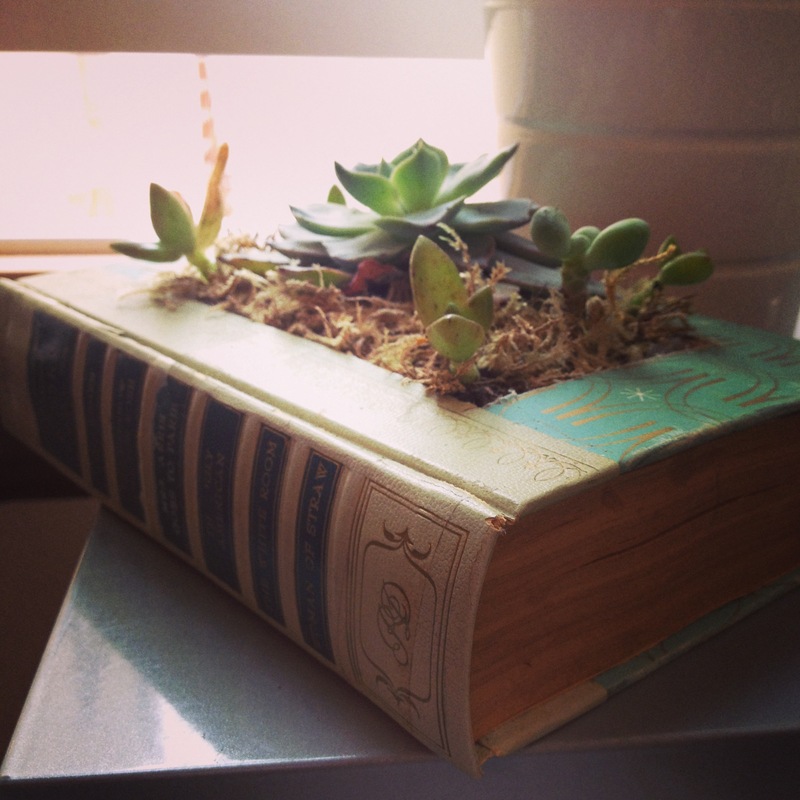 Max made an epic craft gift for his friends, old books turned into succulent planters. Mine, pictured below, is in an old Reader’s Digest anthology.